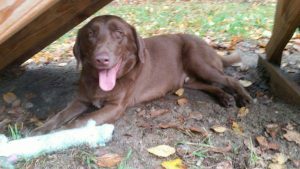 Finn | Labrador Retriever Rescue, Inc.
Is a Rescue Lab Right for You? Great news Finn has been adopted ! Our chocolate love bug will be dividing his time between Cambridge and Vermont and receiving the exercise and training he needs to be a good family member. We couldn’t be happier !